The first of its kind in the UK, this plant is designed as an alternative to landfill for biologically municipal waste. South Shropshire District Council has secured funding from the DEFRA New Technology Demonstration Programme and Advantage West Midlands RDA. The plant accepts source separated kitchen and garden waste, collected from local residents. This is shredded and slurrified on site. 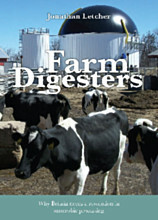 The digester has a capacity of 5,000 tonnes/year. Electricity- 200 kW (reciprocating engine). 7% net of this is used on site. Heat- Amount not yet known, to be exported to neighbouring industrial estate. A pasteurised biofertiliser will be provided to local farms.